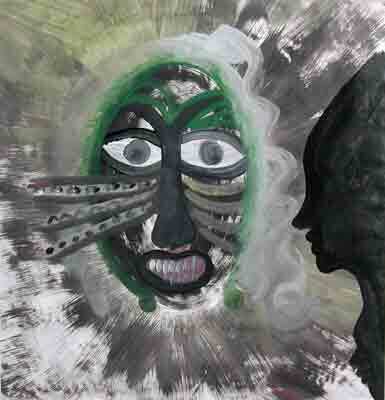 Lonnie B. Holley, Teaching My Child How to See Grandmother's Mask, 1992, acrylic on paper, 27 ⅜ × 26 ¼ inches. Gift of Delphia Allen Lamberson & Hoke Smith Holt, 2002.01.04.24. © Lonnie B. Holley / Artists Rights Society (ARS), New York. Today’s Art Break is led by Lola Clairmont, curatorial assistant + Kristi McMillan, adult programs manager.